As Naruto once said... it’s time to focus our “cat-tra.” Um... meow...? 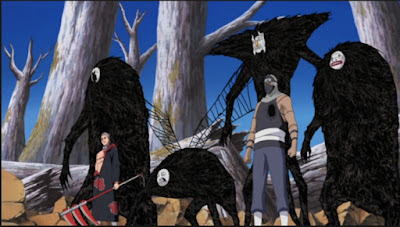 For this list we’re looking at the battles spanning from the original series to it’s follow up, “Naruto: Shippuden.” We’ll only be focusing on the anime series and not any of the movies, and are not looking at any battles that were part of the filler episodes. Also, we’re only focusing on episodes that have aired in the U.S. So while there’s some pretty epic battles going on in Japan, we’re not jumping that far ahead. 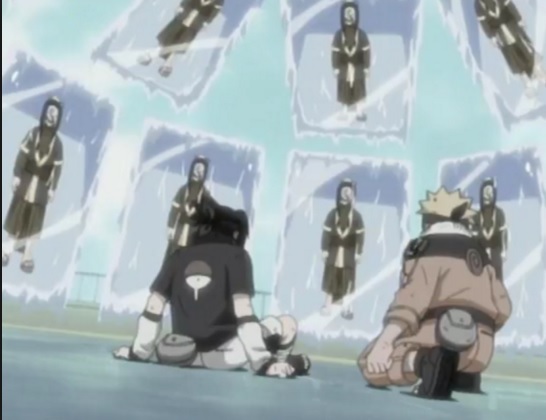 With that said, we’re now activating our Spoiler Warning Jutsu, just to be safe. 1.) Sasuke vs. The Five Kages - Sasuke... doesn’t always have the brightest ideas, such as infiltrating the Kage Summit and wanting to kill the Hokage. We know the Uchiha is a powerful ninja and all but... did he really think he could pull this off? Then again, sometimes, people need to be taken down a couple of notches. 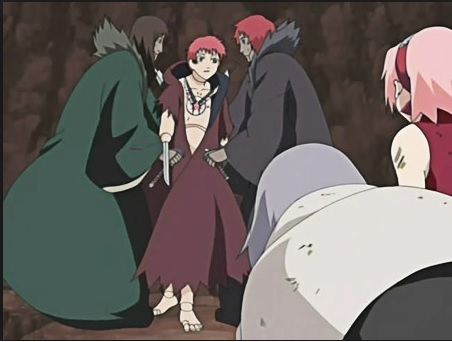 To be fair, Gaara does try to convince Sasuke to not go along this destructive path, but Sasuke refuses. Oh well, let’s watch Sasuke get knocked around a bit. At least he puts up a decent fight. 2.) 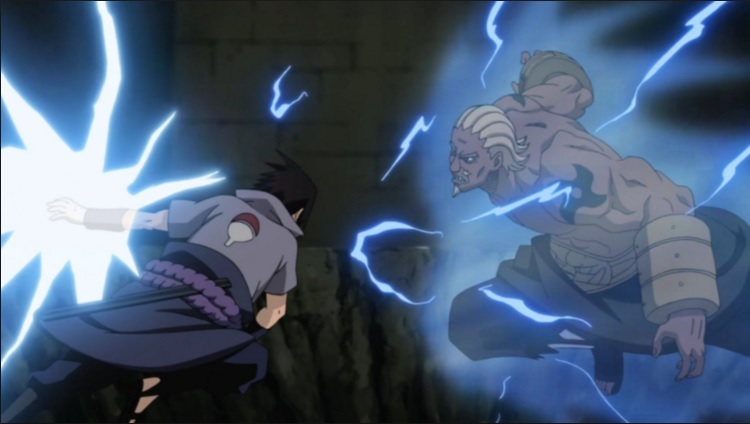 Sasuke and Naruto vs. Haku - When main characters are given time to train, we’re always anxious to see what they’re capable of. Unfortunately for Sasuke, he has to go up against Haku, but Naruto comes barrelling in to save the day... or something, honestly it doesn’t do much because Haku’s kinda god tier and there was no way in hell the two ninjas-in-training were ready for this. Fortunately, Naruto’s got a rather unpredictable ace in the hole, and we get our very first look at the dominant force that is Kyuubi Naruto. 3.) 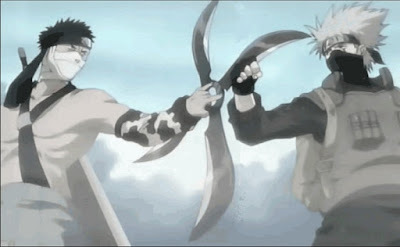 Kakashi vs. Zabuza - We can’t talk about Haku without Zabuza, and we can’t talk about Zabuza without pumping our fists over his battle against Kakashi. This is where the goofy toilet humor and accidental kisses stop and things get serious as the always late, adult book reading Kakashi goes full badass mode and surprises everyone -- especially when he reveals his sharingan. The two would later meet again, but their encounter ends in tragedy as the young Team 7 learns firsthand that the life of the ninja is, indeed, a difficult one. 4.) 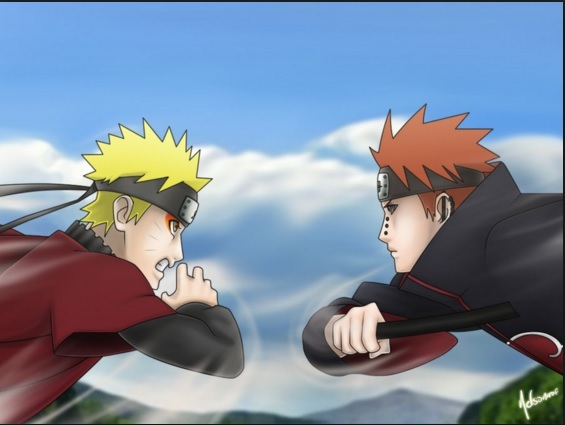 Lee vs. Gaara - Do you want to get your friends hooked on Naruto? Show them this show-stopping battle. Despite his admirable abilities, Lee is a bit of an underdog due to his silly looks, his over-dramatic tendencies, and the fact that he’s only skilled in taijutsu. 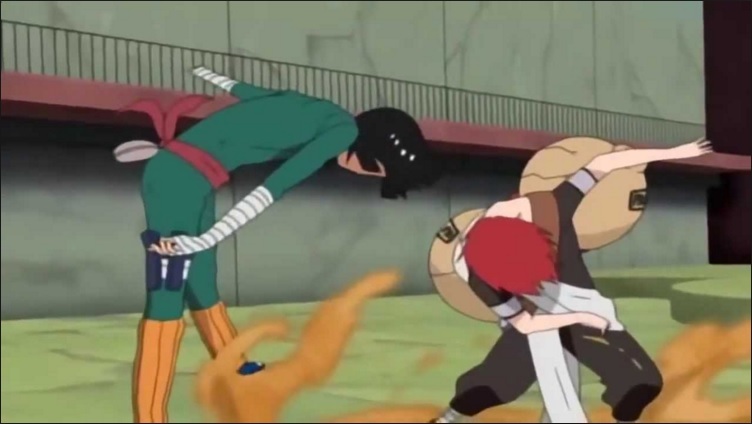 Meanwhile, Gaara is such a powerhouse that he doesn’t have to move to fight someone. Lee definitely proves himself as a fighter and as someone to be respected as he’s the first person to ever surpass Gaara’s sand and give him an. 5.) Naruto vs. Gaara - All Sasuke wanted to do was continue one little fight, how did it get this chaotic?! The stakes are beyond high as Naruto frantically tries to protect his friends from Gaara -- and Shukaku’s -- overwhelming power. 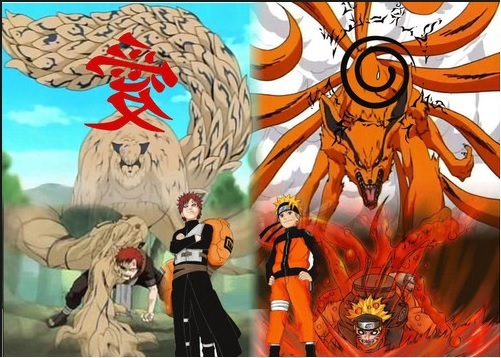 What makes the battle so interesting is that Gaara and Naruto both have sealed beasts inside of them and had the same, lonely childhood because of it. Naruto could’ve easily turned out like Gaara if not for his friends, and thanks to his determination, he instils a new sense of value in Gaara. 6.) Sakura and Chiyo vs. Sasori - In a mad dash to rescue Gaara from Akatsuki we’re treated to an action packed battle that stars the leading lady of the series. After spending so much time seeing Sasuke and Naruto develop their skills, it’s nice to see Sakura given a chance to shine. She combines her strength with the puppetry of the elderly Chiyo in order in an incredible match that shows off her intelligence and abilities. It’s a refreshing reminder that Sakura is capable of taking part in these battles, which, sadly, doesn’t happen too often. 7.) Team 10, Naruto, and Kakashi vs. Hidan and Kakuzu - Much like Sakura and Chiyo’s battle, it’s nice to see the series focus on its other characters. Sadly, this particular fight is due to the death of Team 10’s sensei, Asuma. The team decides to extract vengeance against Asuma’s killer, with Kakashi filling in as their leader and Team 7 serving as back-up -- well, more like Naruto since he does most of the work. We get to see the team showing amazing skill, from their strength to Shikamaru’s incredible intelligence. In the end, Asuma’s “Will of Fire” lives on. 8.) 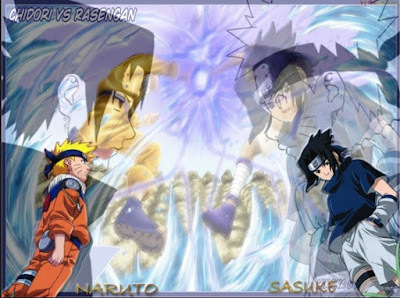 Naruto vs. Sasuke - This is definitely how you end the first part to a series -- and no, we’re not counting filler episodes, this is how Part One ends. There was a time when Sasuke risked his life, without question, to protect Naruto, so seeing them duke it out like this is as tragic than as it is entertaining. We understand why Sasuke wants to leave, but we want Naruto to bring back his closest friend and prove to him that revenge isn’t the way. To everyone’s surprise... Naruto fails, and Sasuke leaves Konoha. 9.) Naruto vs. Pain - Deep breath, everyone. This one‘s a doozy. Tie on your headbands, focus your chakra, and get ready... let’s go! We’ve got the death of Jiraiya at the hands of his former student, the Leaf village being destroyed, key characters being killed, a battle of two students taught by the same teacher, a new technique, a love confession, the appearance of the Fourth Hokage, the reveal of him being Naruto’s father, Pain’s backstory, the restoration of the village and... phew! 10.) Sasuke vs. Itachi - Sasuke has been trying to kill his brother since the fourth episode of this entire ninja fest. From their miserable first encounter to Sasuke turning his back on all of his meaningful relationships, this is what we’ve all been waiting for -- and it did not disapoint. This fight is both intense and emotional as we’re reminded of the bond the brothers used to share. To our surprise, Itachi dies with a smile on his face, and we find out an amazing plot twist: Itachi was trying to protect him all along.